First, use our Administrative tool and create and name your event. 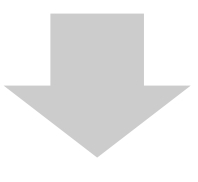 Use our School Data Importer to import your school data. Set your Conference date(s) and time slots. 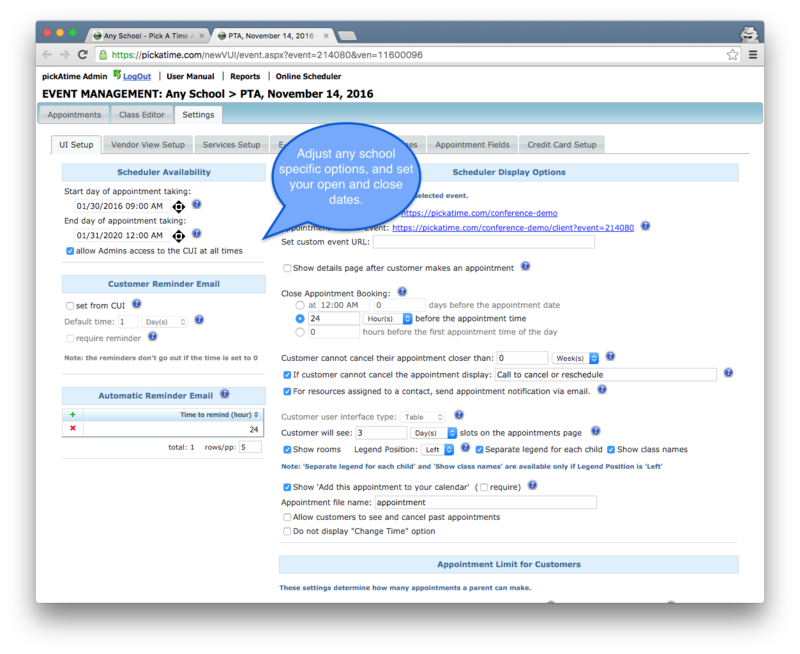 Select the dates you would like the site to open for appointment taking and optionally adjust other settings. 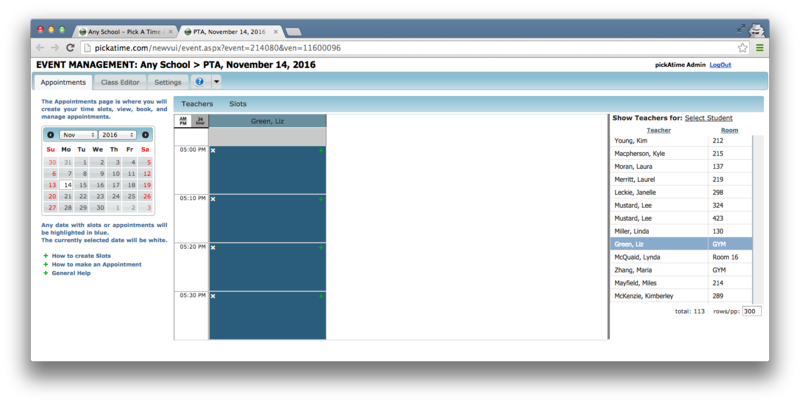 Try out the scheduling site and publish the link to your parents. Parents will identify their student(s) by entering in two student specific fields such as StudentID, birthdate, or student name. Your school can decide which values makes the most sense for your parents. 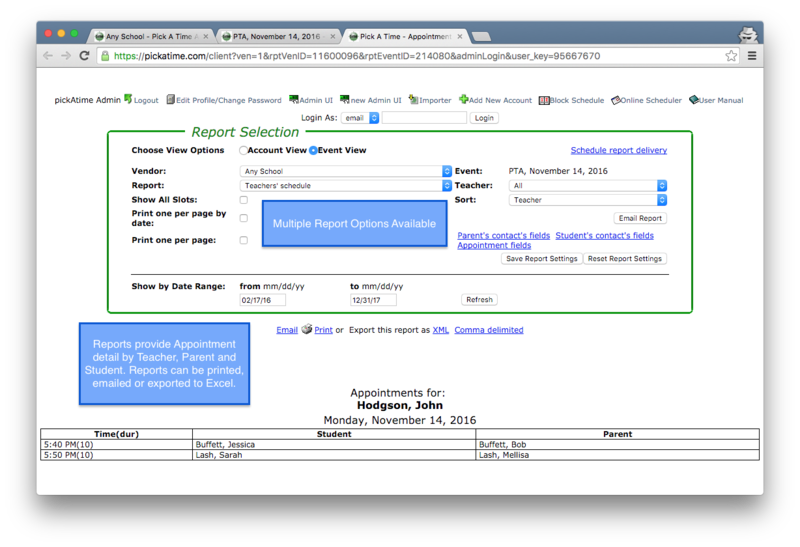 Once parents start booking appointments, teachers and school administrators can monitor registration in real time. Reports can be printed, emailed or downloaded.